We are officially back open for regular hours (Weekdays 11am – 5pm) starting today Monday, January 6th! 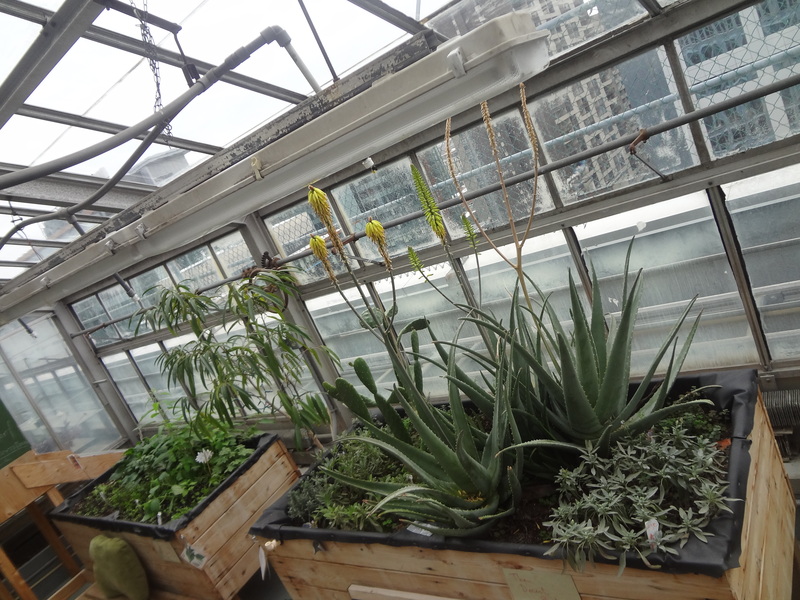 Come up to the Greenhouse to enjoy some warm tea, discover the Atrium and Tea Kitchen, and join a guided tour of the Greenhouse! Teas will be brewing all afternoon, and the fifteen minute tours will given be at 4pm, 5pm and 6pm. Hot Topics in Urban Agriculture: DIY Fermentation! Come to the Concordia Greenhouse and start fermenting! This workshop will give a brief overview of the history and practise of fermenting vegetables (e.g. sauerkraut) and give you the tools to go home and start fermenting your own veggies. Rather than strictly following recipes, fermentation is an age-old art that involves working together with nature to preserve food, render it more digestible, and enhance flavour. Workshop facilitators will provide everything from jars to veggies, so you can kick-start your own project to take home with you! The tea atrium gardening sessions are both a great introduction to the basics of plant care, and a way to develop a keen eye for observation and response to the complex and fascinating secret lives of plants. Tasks include harvesting and processing herbs, refilling the herbal teas in the communal kitchen, pruning, pest control and fertilizing. Sessions might also include house plant propagation: pruning, rooting, potting, and re-potting an assortment of house plant species. Previous PostCLOSED FOR THE HOLIDAYS!Next PostAnnual Winter House Plant Sale!